Lawn diseases can ruin your property. What should be thick, lush, and green might end up looking like a patchy mess. 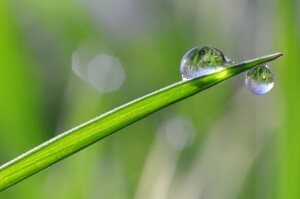 It takes more than water, soil, and sunlight to make a lawn look healthy. You also need to protect the grass from dangerous diseases, which can eat away at grass, discolor it, or kill large patches, potentially causing trouble for other plants in your yard, like trees and shrubs. Even the best lawn care company in Atlanta can’t make a lawn recover without first addressing plant disease, treating the problem, and preventing the return of dangerous fungi. These are some tips for taking care of potential lawn diseases for good. First, you should be aware of the common signs that your lawn is plagued with diseases. Plant disease means something different than a bacterial disease that might make you sick. Plant diseases typically refer to fungi that feast on living matter. While most fungi are harmless to living plants, only breaking down dead plant and animal matter, and other fungi like green moss won’t kill the host plant, plant diseases are fungi that will kill your grass and other plants in your property. At the very least, plant diseases will make your lawn look odd and unappealing. Brown patch is one of the most common types of lawn diseases you should worry about if you have or are planting a fescue lawn. This fungal turfgrass disease typically strikes during the spring and summer months when temperatures are above 80 °F and humidity is consistently high. Look for patches of grass that appear purple, as discoloration is the first sign of brown patch. If you have a zoysia, centipede, or Bermuda grass lawn, look out for signs of a fungal disease called large patch. Like brown patch, this disease thrives in areas that are hot and humid. While symptoms can occur year-round, they’re most prevalent during early spring and late fall. Indicators appear as roughly circular patches of either orange, yellow, or reddish-brown grass that then turn tan and fall to the ground. All types of plant disease must be eliminated from your lawn if you ever hope to have green, smooth grass. Increasing your water applications, attempting to re-seed, fertilization, or pruning tall plants for better sunlight exposure won’t treat the disease. The only working solution is fungicide. 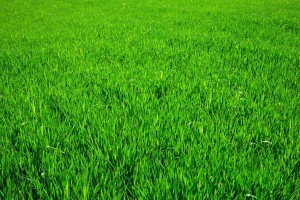 Just as you would medicate yourself if you were seriously ill with disease, grass requires medication of its own. However, before you purchase just any ordinary store-bought fungicides, you should talk to a professional lawn service. Lawn care services are about more than cutting grass. They can offer effective professional-grade disease control and treatment techniques that eliminate fungal threats to your lawn. You’ll know you’ve found the best lawn care company in Atlanta when you find professionals who don’t just cut grass but offer full lawn care services, including fertilization, aeration, seeding, and disease treatment too. Hiring these professionals means trusting in proven fungicide treatments that are appropriate, effective, applied for best results, and designed to target the most dangerous diseases that may affect your lawn.